Discover virtual images that seem to hang on the wall next to those of Clyfford Still using an AR device. Now you see it, now you don’t! 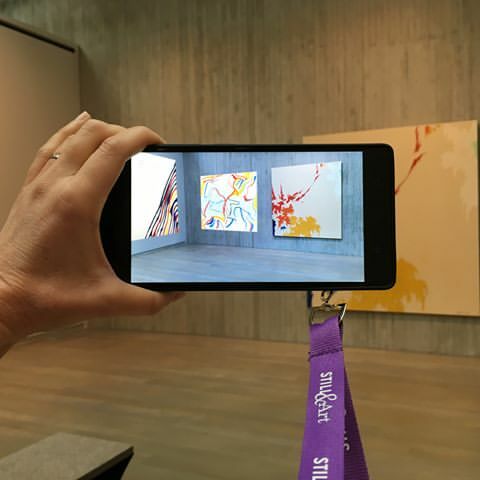 Way more than some tech gimmick, the new augmented reality (AR) tool available at the Clyfford Still Museum as part of their current exhibition “Still & Art” gives visitors fresh context and perspective on artists and works that may have influenced Still. Visitors can use one of the phablets to zoom in on these virtual works by simply walking toward the wall and even examine the texture of the paint by moving the device around. A fascinating (and really fun!) way to experience the museum and explore the broader world of art. Try it now through January 21, 2017. Pro Tip: The Still Museum is FREE every Friday 5p – 8p and all day on the last Friday of the month.